Pizza nel cuore combines the love for pizza with an increasing focus on a healthy diet. The project is sponsored by leading companies in the sector, in collaboration with technologists, nutritionists and researchers, to provide you with nothing but the best. Through Pizza nel Cuore, our commitment to offer consumers a pizza which is unique, healthy and rich in taste, according to the indications set out in the Mediterranean dietary model, is possible only if we select the best raw materials and employ the correct mixing and processing techniques. The promise is to offer only quality products backed by constant improvement through research and training. A SERIES OF SIMPLE RULES, AIMED AT MAKING PIZZA A WHOLESOME PRODUCT, HAVE BEEN COMPILED AND REVIEWED BY INRAN (THE ITALIAN RESEARCH INSTITUTE FOR FOOD AND NUTRITION). Take care of yourself, do physical activity and be aware of what type and how much pizza you eat. Make a health and taste-oriented choice by choosing Pizza nel Cuore. Choose a pizza with more fibre, whole grains and seasonal vegetables and fruit. 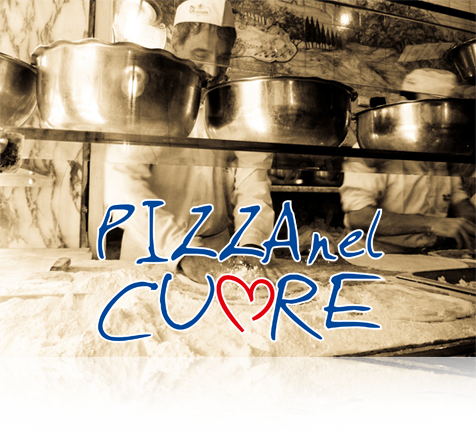 The base of Pizza nel Cuore is rich in fibre and mineral salts, so choose the ingredients to add to it carefully. Choose the fats in your pizza by opting for vegetable fats. Use of raw extra virgin olive oil is preferable in Pizza nel Cuore. Pay attention to the calorie intake in your diet and choose more fibre. The base of the Pizza nel cuore contains fewer calories, carefully choose the condiments to add to it. Drink plenty of water while eating well. The fibre contained in the base of Pizza nel Cuore promotes detoxification. Do not add salt for flavour, add spices and flavourings instead. The mixture of Pizza nel Cuore contains a reduced amount of salt. Pay attention to the amount of alcohol that you drink while eating pizza. The reduced salt content in the base of Pizza nel Cuore will also make you feel less thirsty. Vary your choice of pizza and choose healthy ingredients. Pizza nel Cuore supports a return to genuine traditions. Choose your pizza according to your needs and feel special. Pizza nel Cuore is a special pizza. Insist that your pizza is be cooked hygienically and with healthy ingredients. Pizza nel Cuore only endorses pizzerias which provide all these guarantees. All the ingredients used and the processes adopted express quality, well-being, health and taste. We chose a unique flour that combines traditional flavours and aromas with technological innovation and the guarantee of wholesomeness. 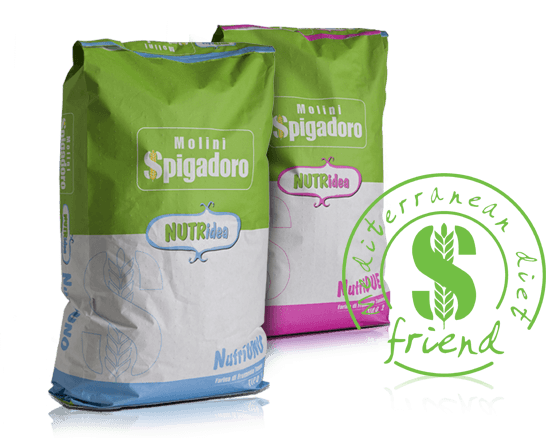 The NUTRIDEA flour range used in our dough stems from research by Molini Spigadoro, a company that combines excellence and accountability, in association with the University of Perugia (Faculty of Food Science and Human Nutrition), to offer a product which is 100% healthy and packed with fibre and mineral salts. Mycotoxins and other contaminants have been eliminated through a SANITISING process of the cereals which is UNIQUE in Italy.